You guys are really getting me excited about this release. Time Tunnel is my second favorite Irwin Allen series, behind Voyage, so I'm looking forward this this. I am not going to burn through them. Now that I've finished the first disc, I'm only going to watch at most one a day. I've waited a long, long time for this show (never thought my first purchase would be on Blu-ray), and I'm going to savor every moment. One negative. They didn't work a resume feature into the coding, so watch whole episodes or notate where you stop if you don't watch the show in one sitting. It will take you back to the loading screen every time you start your player. Same here. I watched the second episode today and might do the third tomorrow. With an out-of-town trip looming, I will likely have to interrupt the viewing for awhile. Really pleased I purchased my set on release day here in the UK and was delivered same day too. The Blu-ray is a significant upgrade to the standard DVD. I've recently purchased the Time Tunnel (A History Of The TV Series), hardback book from Amazon to go with the Blu-ray set and it somehow makes it all feel nice and complete and they both look great together on the shelf. The book is excellent. Recommended for all Time Tunnel and Irwin Allen collectors. MartinP. and bmasters9 like this. Glad you paired it up, as I've done with at least two favorites of mine (Petrocelli and The Streets of San Francisco). Yes, great book by Martin Grams. It even lists every music cue for every episode - I just wish I knew where to find some of them. The only Time Tunnel CD released was by GNP Crescendo in an Irwin Allen boxset with CDs containing music from his other TV series like Voyage, LOTG and LIS. 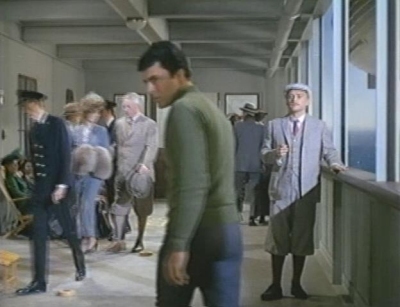 The Time Tunnel CD contained a suite of music cues from the first episode, Rendezvous With Yesterday and a suite of cues from The Death Merchant. La-La Land produced a very nice box set of every cue available for Lost In Space which I just had to have. Sadly, no talk of releasing music from Voyage and LOTG or more from the Time Tunnel. ooh, thanks for the heads up re- Streets Of San Francisco. Didn't know there was a book for that series. Is it the one called The Streets Of San Francisco: A Quinn Martin TV Series by James Rosin (published in 2011)?? That's the one I'm seeing on Amazon(UK). Indeed it is-- I have both the CBS condensed all-in-one and the James Rosin book. stringbean and Jeff Flugel like this. Yes, I've had that FANTASY WORLDS OF IRWIN ALLEN soundtrack set for years and treasure the TIME TUNNEL disc within. I've also managed to collect a couple of Bernard Herrmann discs of soundtracks that were partially used in both TIME TUNNEL and LOST IN SPACE. I just wish there were more. This morning I decided to try to figure out why the Irwin Allen Home Movies are labeled "UK Edit" and wanted to compare those with the old DVD version. So with the DVD playing in my computer and the Blu-ray loaded up in my den player, I attempted to run them simultaneously. Nearly instantly I could tell that the Blu-ray disc version was running much, much slower than the DVD in my computer. This is sort of the opposite of the PAL effect. I ran the two in tandem simultaneously for about 22 minutes. I saw no difference in what was contained in either version, but the DVD had only taken 18 minutes to get to that point in the films. I don't know why the compilers of the Blu-ray set would need to slow down the 8mm films that much, but they must have had some reason. Perhaps the frame rate doesn't translate well on PAL sets - I don't know. I bet that'll cost some sales (and garner some 1-stars on Amazon)! Has anyone compared the unaired pilot with the first episode to indicate the differences? Yes. There are some introductions of John Zaremba and Lee Meriweather that got cut. The entrance to the tunnel chamber music is different. There are no commercial break blackenings. And the ending is different. Gary16 and stringbean like this. Thanks, nice photos. I'll get that book. I don't know why the compilers of the Blu-ray set would need to slow down the 8mm films that much, but they must have had some reason. Perhaps the frame rate doesn't translate well on PAL sets - I don't know. No idea myself Harry, that is far too technical for me to understand. What were the Herrmann soundtracks you mentioned that had some music used in the Time tunnel? Also there's a slight extended scene at the start with Doug and the Senator in the car, and a couple of extra lines in the tunnel control toward the end, just before they make the transfer. For music aficianados, the main title theme is a slightly different recording than the one settled on for the series. There may be others too. Thanks for that. 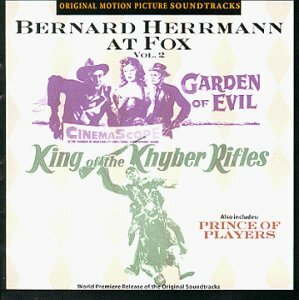 I've just looked on YouTube and all tracks from Herrmann At Fox Volume 1 are on there but can't see Volume 2 which is a shame. Apparently, the story goes that Irwin Allen was unhappy with Hopper's performance and had all of his footage destroyed. Knowing what we know of Irwin Allen's thriftiness and re-use of footage in all of his productions, it's almost inconceivable that this footage doesn't exist somewhere. If you go through the 8mm Home Movie section on either the Blu-ray or DVD, you can see a few more scenes of Dennis Hopper interacting with others in the episode.